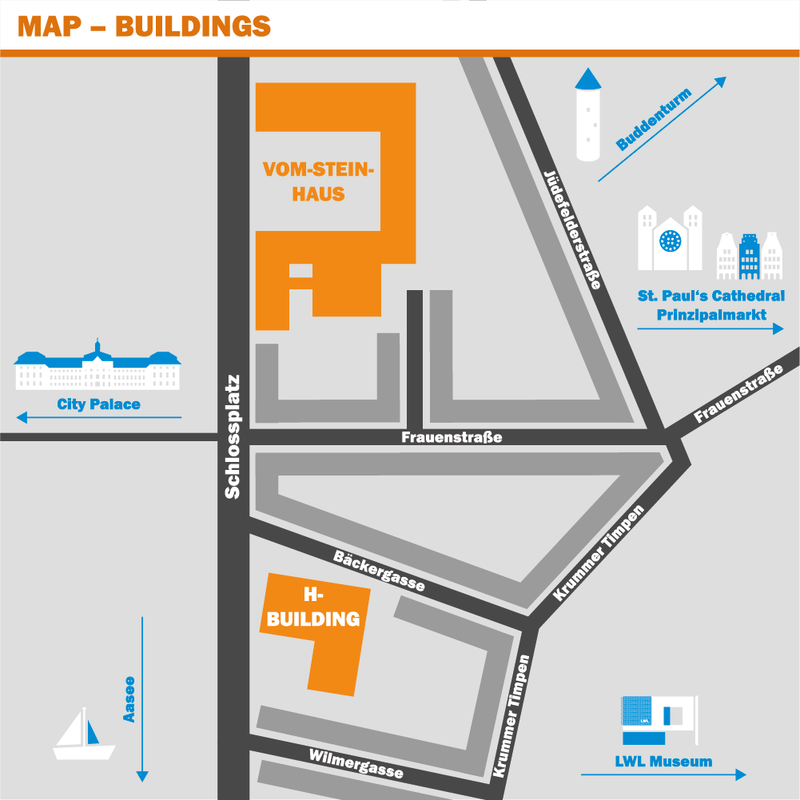 EUNIS 2017 takes place in the “Vom-Stein-Haus” and the “Hörsaalgebäude Schlossplatz” (“H-Building”) – two buildings in immediate vicinity which are located in the historic city center, vis-a-vis the City Palace. 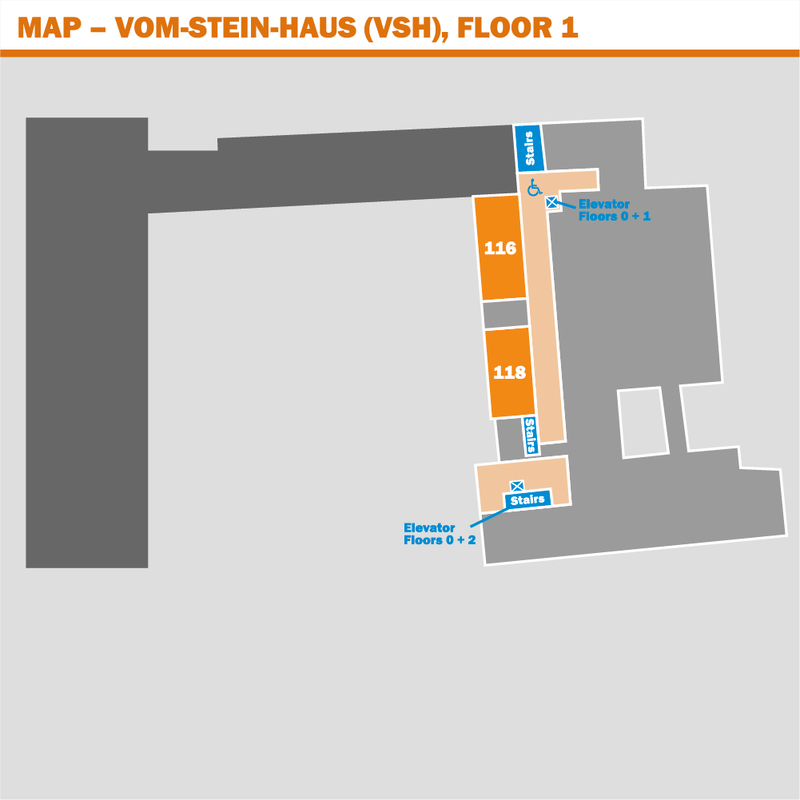 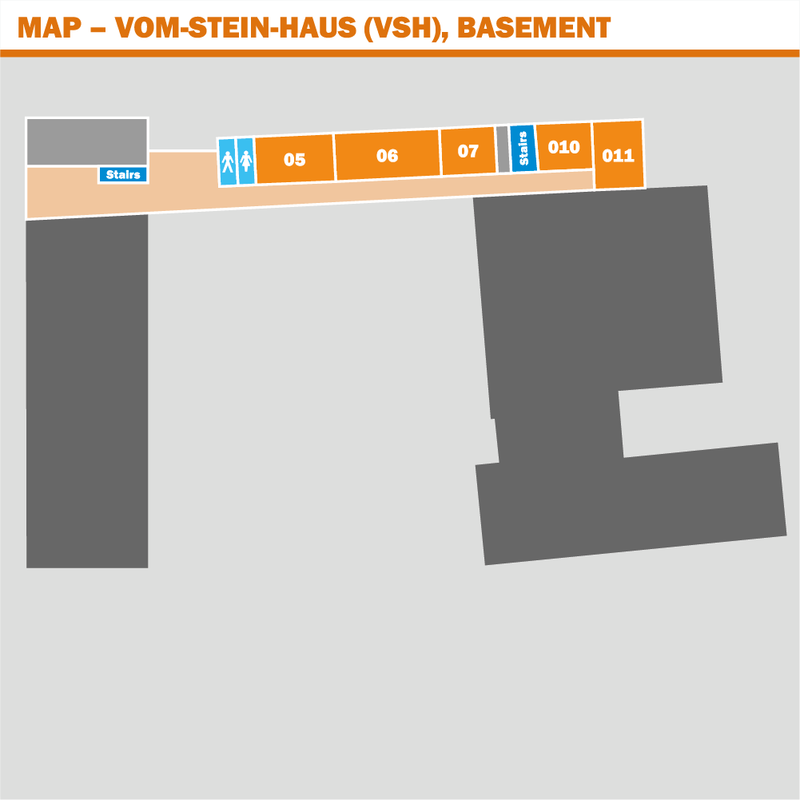 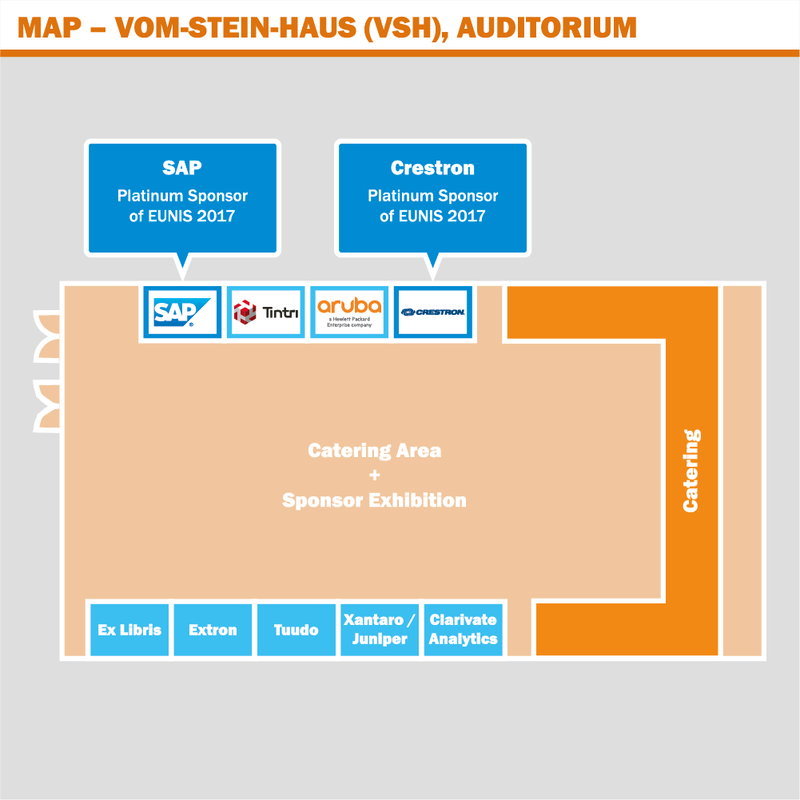 The Vom-Stein-Haus serves as a home for the Department of German Philology and offers not only several seminar rooms perfect for smaller sessions, but also a large auditorium which lends itself for exhibitors and catering. 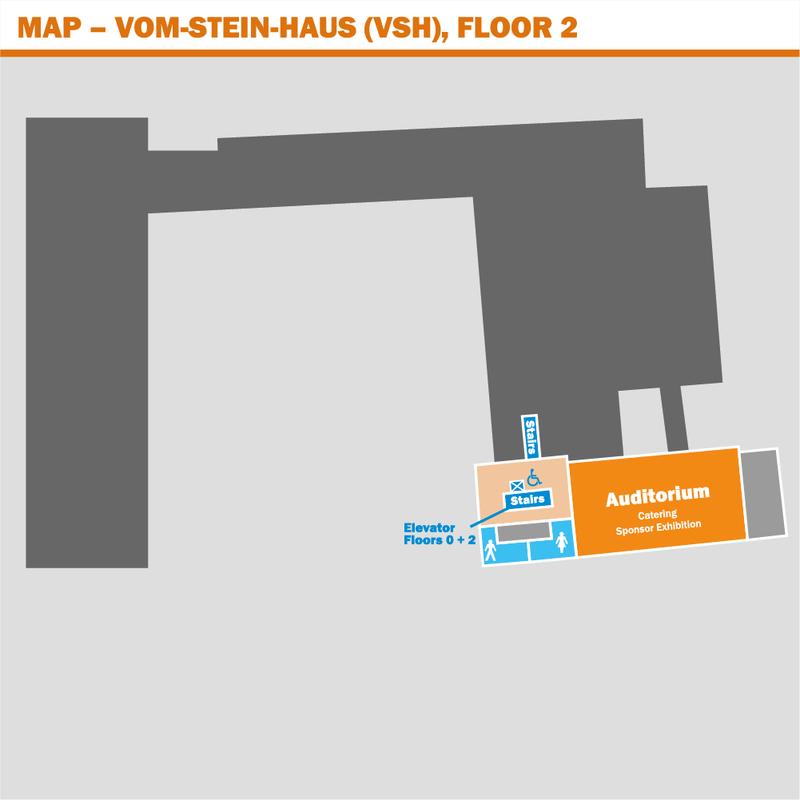 With four major auditoria accomodating up to 1,238 people in total, the Hörsaalgebäude Schlossplatz is the WWU’s most important lecture building. 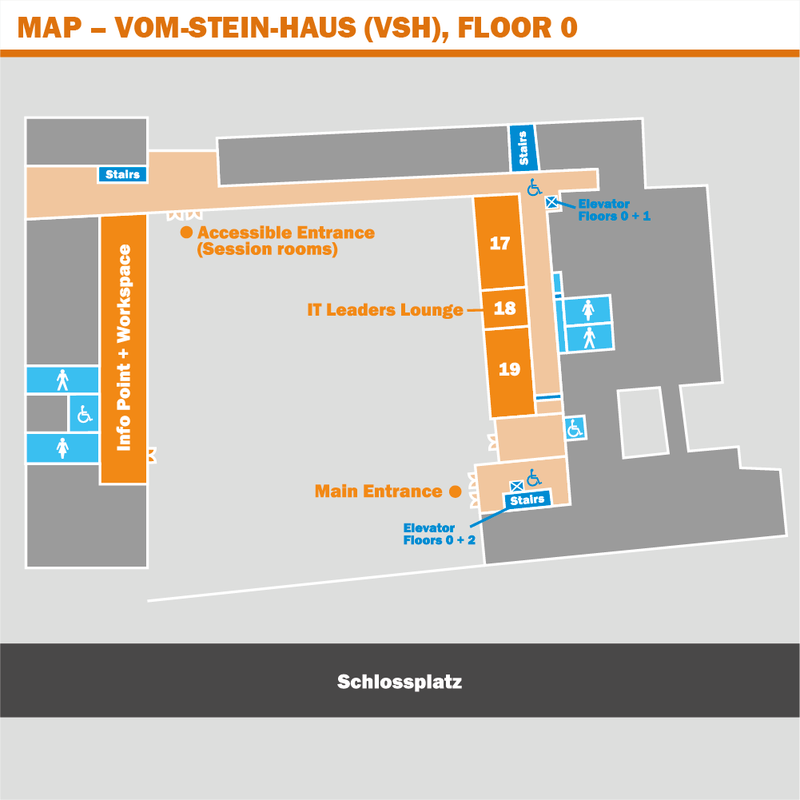 Mainly used by the School of Business and Economics, it is also a popular venue for keynote speeches and concerts.